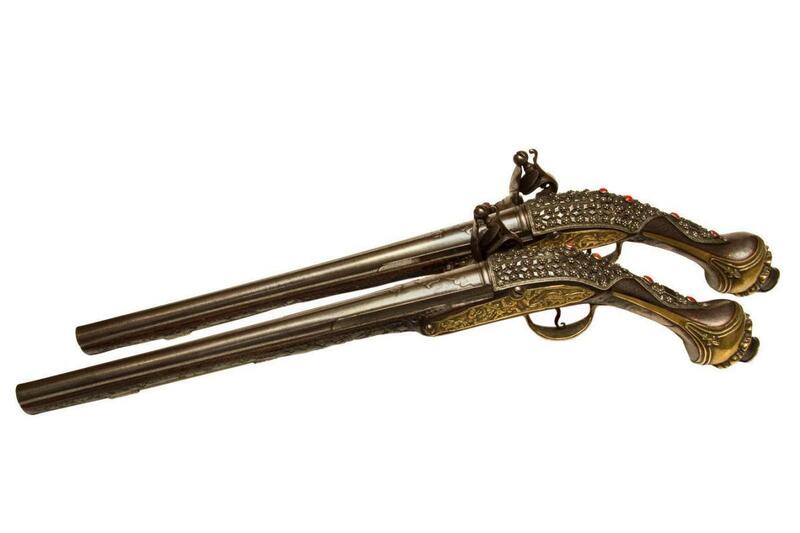 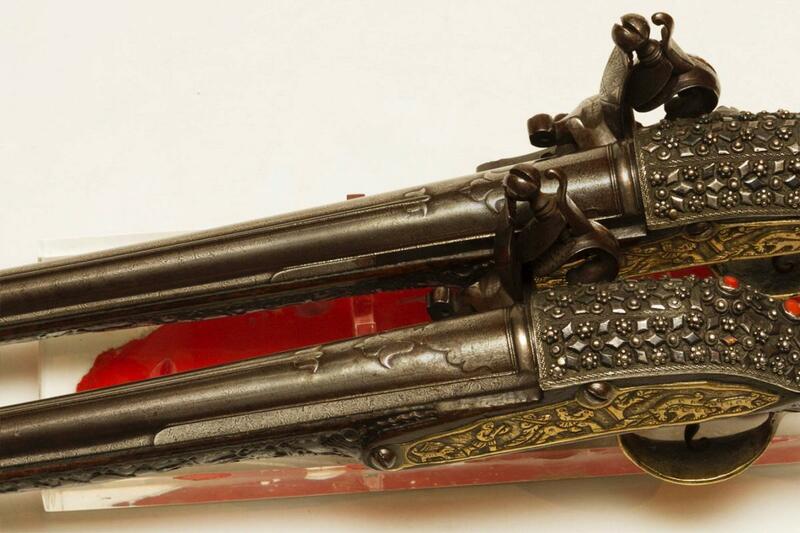 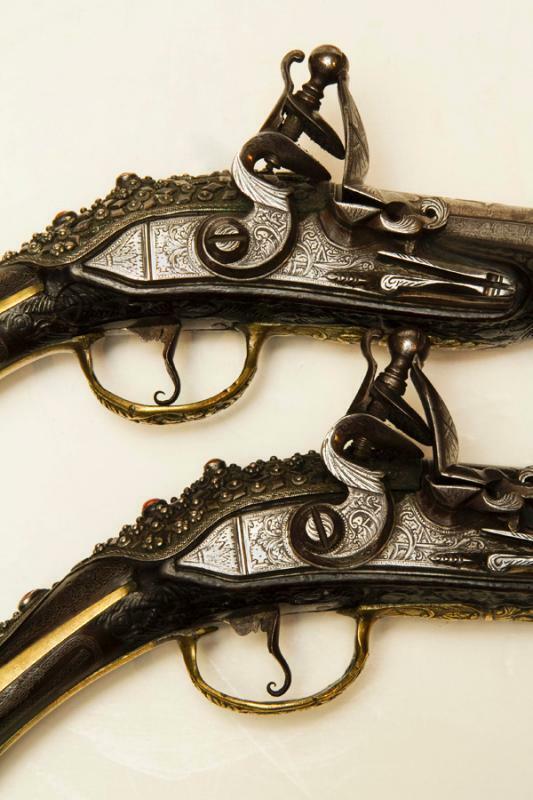 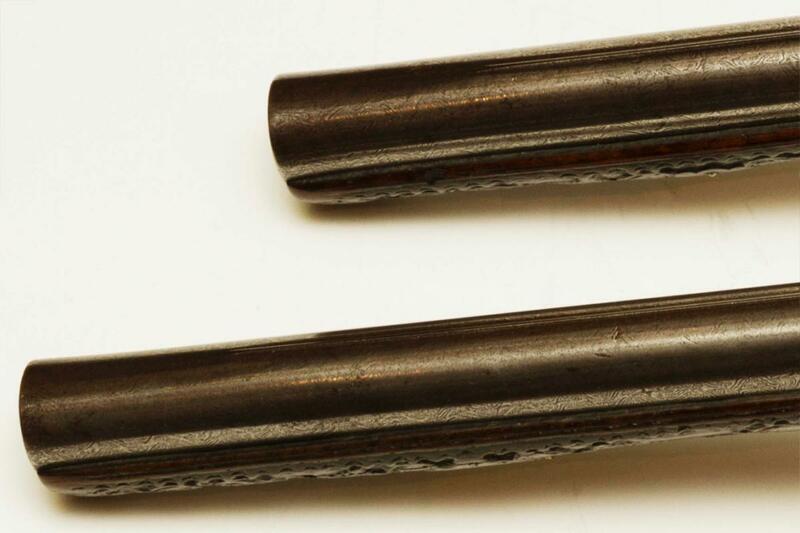 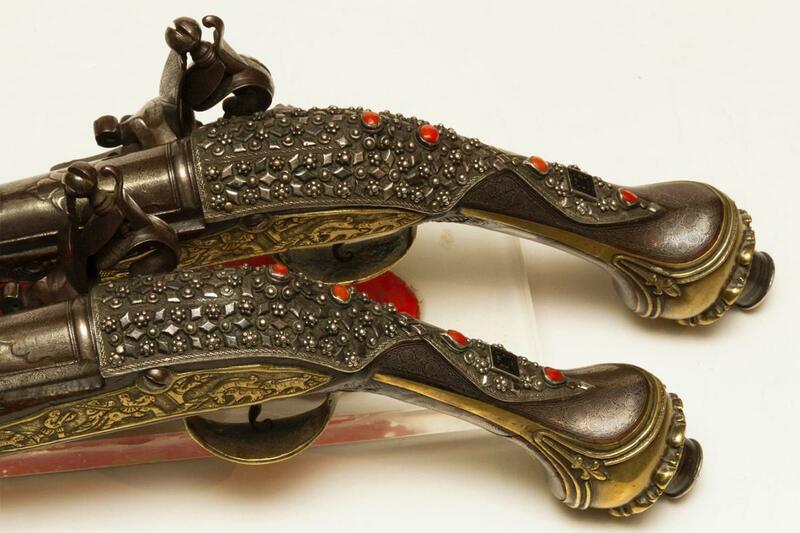 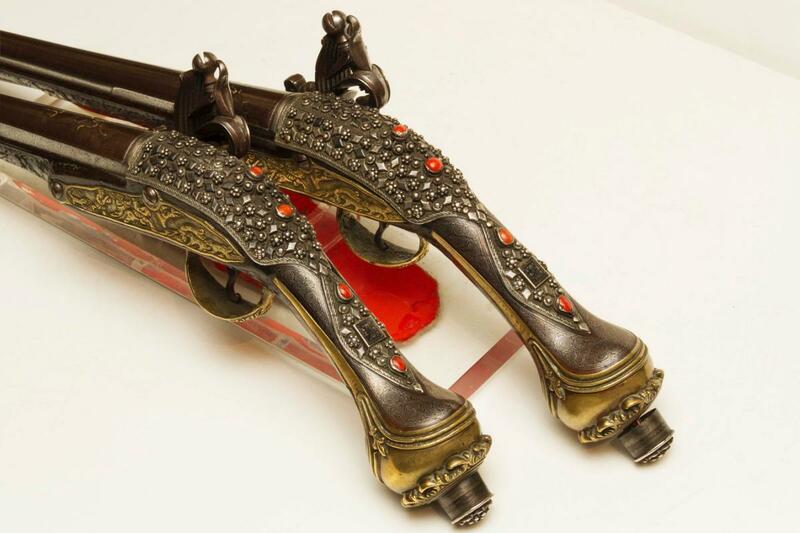 This pair of extraordinary, large, Indo-Persian (Ottoman or Persian) pommel gun flint-lock presentation pistols from the early to mid nineteenth century feature inlaid coral, filigree silver wire and repousse silver designs, gilt mounts depicting figures on foot and horseback on the hunt chasing prey, plus swirling damascene inlay on the handles and other damascened motifs across the lengths of the barrels. 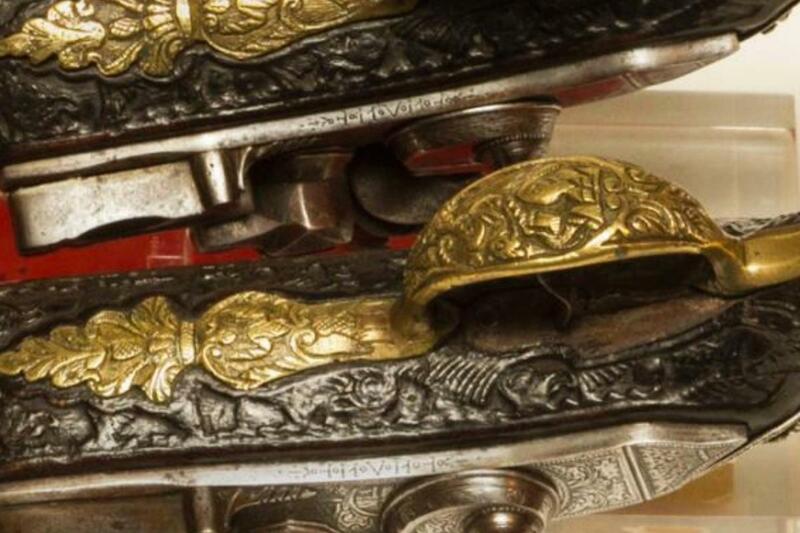 Signed indistinctly on undersides. 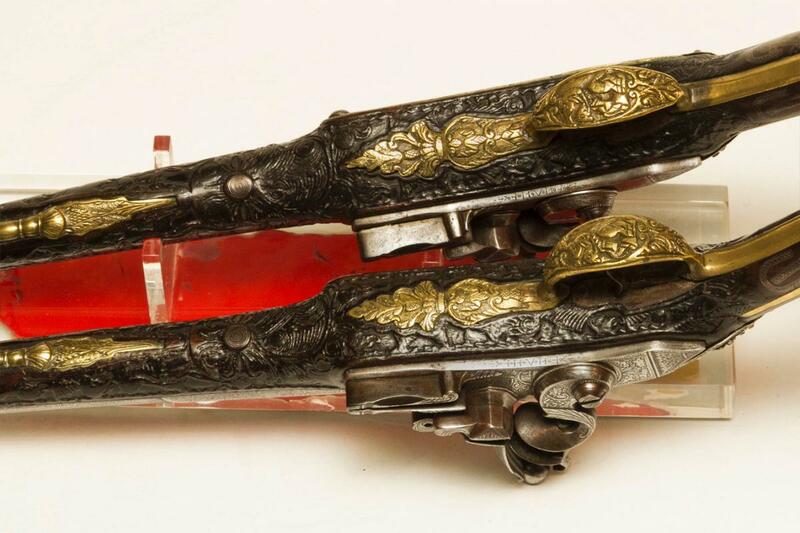 Shown with clear acrylic stand with worn red felt on underside.